It’s divided into two major sections: Principles and Practices for Effective Personal Outreach. The Principles section has six sessions that deal with the basic biblical principles, or theology, of evangelism. It includes a discussion about the spiritual journey as an essential model for understanding God’s evangelistic activity; what the Bible says about spiritual encounters; how our beliefs about conversion directly impact our evangelism practices; how to move beyond converts to disciples; how to deal with some of the more common objections we encounter; and the imperative of relationship in communicating to a more and more complex world. The second section, Practices, also has six sessions that explain how to reach the lost through personal evangelism methods involving holy conversations and invitations. It includes the use of the New Testament as the ultimate witnessing tool (with a special focus on One Verse Evangelism). Other sessions address modern-day parable telling using Bible stories; how to develop and use your personal story/testimony in sharing with others; training for altar workers in sanctuary evangelism; how to develop missional small groups; and finally how to use questionnaires and booklets in intentional evangelism to train those with a zeal for evangelism as Jesus commanded it. This approach of addressing theology and then its practical application is modeled by the way Paul wrote in many of his letters. The theological principles section is very helpful for working with your church leadership team, as fodder for a discussion of how your church’s outreach efforts fit into the Kingdom of God schema (what God is doing in your midst), and is crucial to discerning what it is that God wants you and your people to do to reach the lost in your community. There are many myths and misconceptions that need to be debunked concerning evangelism in the local church and this material can help facilitate a Holy Spirit-inspired discussion among those most committed to outreach in your faith community. Once people understand God’s intention for them and the church in the area of outreach they will become more motivated to get involved in reaching the lost. “Most people have the want to; they just don’t have the how to.” That’s where the second section can be so helpful. Numerous different conversational methods are provided in these sessions. Remember, it’s not the method that’s sacred; it’s the message that’s sacred. Therefore the more tools in our toolbox the higher the likelihood you will have what you need for nearly every evangelistic encounter. Every Christian can use more new ideas when it comes to outreach. Of course the most important component in outreach is the presence of the Holy Spirit. God is the evangelist, the Holy Spirit is the catalyst, and humans are the means that He uses to reach the lost. But if the Holy Spirit can use us when we are unprepared think how much more he can use us when we are prepared! This series will seriously prepare you to be more effective in reaching those who need Christ. 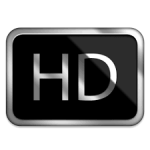 Select a link to skip to the specific topic. Why should you own this series? It will equip you with biblical principles for personal outreach. You can return to the teaching to for use in your small group or to review portions of it. Using the Bible to illustrate simple but profound truths, you will become more motivated to share your faith with others. The more you know about the devil’s schemes and what the Bible says about your efforts the more you will overcome your ignorance concerning personal outreach and the fear that results. You and other leaders in the church need to know how personal outreach and other evangelism efforts fit into the Kingdom of God as a whole, in order to encourage more outreach to the lost. The more you know about how your beliefs about conversion directly impact your evangelism practices, the better you will be at assessing what practices and methods are best for you and will yield the most fruit for the Kingdom. Because most people’s experience in evangelism tends to be more negative than positive, you and other church leaders need to develop ways of dealing with the demons of the past and bring people hope in their future outreach efforts. Because Western culture, especially in the United States, is becoming more and more diverse along cultural, ethnic, religious, generational, and economic lines, you need to gain a better understanding of the audience you are dealing with and how to reach them. The church and individuals need help to assess their challenges as well as their strengths to help overcome those challenges when it comes to incorporating the lost into the body of Christ. The workbook will provide you and other leaders with dozens of specific teaching segments on evangelism that you can use in small groups or as sermon outlines for your pulpit ministry. By going through this series you will have a college level education about evangelism! This series does all of this and much more. The first session is about the foundational principles you need to know for effective outreach. The purpose of this series is to help you develop your own practical theology of evangelism—or, in less threatening language, an effective ministry of personal outreach. By engaging people in earnest discussion about reaching the lost you facilitate the opportunity of the Holy Spirit to speak into your community’s efforts. This first session is meant to provide the foundation for the kind of Spirit-led discussion that will result in heightened awareness, sensitivity to the Spirit’s leading, and empowered action. It begins with a brief presentation of how the process of practical theology (or ministry) can helps you in your efforts as a church leader to restore a lifestyle of evangelism to ordinary believers. Using this challenge (dilemma) as the subject matter, the first session addresses four phases of dynamic interaction in the process: 1) Specific description; 2) Dialogue development; 3) Reasonable intentions; and 4) Sensible applications. Practical ministry is ultimately about discovering the activity of God in the midst of your specific concrete situation. This foundational teaching will help you understand that God is the evangelist and how he is already at work in the lives of seekers/unbelievers before you even engage them in conversation along life’s journey. This concept is crucial to helping you overcome the natural apprehensions we all have about our capabilities in outreach. For God is the evangelist, His Spirit is the catalyst to conversion, and humans are the means. The reality is you can’t win anyone to Christ! Only God can really convert the soul of humans. By helping you realize that it is up to God to do the work and you are only His vessel for inviting others into the community of faith, much of your fear of involvement will be eliminated. Remember it’s not the method that’s sacred, it’s the message that is sacred. To help easily assess various evangelism methods, five key aspects to effective outreach are presented. Many years of experience and research has shown that effective personal outreach, in fact nearly all ministry, is biblical in basis, conversational in method, spiritual in dimension, relational in context, and holistic in scope. Each of these is explained in detail. You’ll be equipped to assess any method based on biblical criteria. Sanctuary, personal, crusade, events, or media evangelism approaches all need to be tweaked for better effectiveness and this session will explain how that can be done. A definition of evangelism as a holy conversation and invitation in which God speaks to and through the church to the world is also discussed. Every session includes provocative and thoughtful discussion questions for you, and your small group if you have one, to consider. Through individual reflection or group discussion of the principles presented, you will be able to apply biblical concepts for outreach to your local community and culture. This session begins with a look at what the Scriptures say about the spiritual encounters you will experience as you reach out to lost people and the priority of prayer as the key to your effectiveness. To help you understand what is happening in the spiritual realms, the training focuses on God’s word as the definitive source for insight. The Bible should be the ultimate rule for our faith and practice, so this session looks at a number of biblical passages to help underscore the simple truth that prayer is the key that opens the hearts of humanity to the gospel. You will learn about how we can wage warfare to overcome spiritual blindness, tear down strongholds, stand firm against the devil’s onslaughts of fear, and maintain the appropriate focus on spiritual realities rather than worldly doubts. A biblically informed discussion regarding what is actually involved will help you overcome your fears of reaching out to the lost. You’ll learn why the apostle Paul, one of the greatest evangelists of all time, wrote so much about spiritual warfare and his view of the role of prayer in the area of evangelism. You will also learn what Jesus says about evangelism and how his teaching can help you have healthy expectations concerning the harvest. God has given us a number of promises concerning the effectiveness of His word. By understanding what the Scriptures said about your witnessing encounters it will encourage you to step out in confidence that God’s word is true and it will indeed accomplish that which He desires and achieve the purpose for which He sent it. One of the problems that is addressed in this series is how to define evangelism. Confusion in the church regarding what constitutes genuine outreach often results in misplaced priorities in the crucial strategic decision-making process especially in respect to calendar and budget. You will be challenged to consider if you and your church’s view of evangelism is biblically accurate and how you might re-invigorate the church toward more effective outreach to the others in your community. For too long, erroneous views of conversion have negatively influenced evangelism practices and methods. Too much of our focus is on a singular point of encounter with the Risen Lord by encouraging folks to say a sinner’s prayer of repentance. But conversion is much more complex than that. 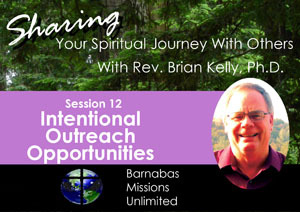 You’ll learn about how spiritual journey is an essential model for the conversion process. The key words are journey and process and they involve three phases: 1) Quest, 2) Encounter, and 3) Transformation. By failing to honor the way the Spirit gift’s people in these three distinct areas, church leaders may inadvertently disparage the work of the Spirit to equip people to reach the lost. Hundreds of thousands, perhaps millions of Americans have said the sinner’s prayer or responded to altar calls across our country, but the church continues to shrink in attendance and influence. When you lead people into an encounter with Christ it should be a priority to incorporate these respondents into the faith communities as well. A more holistic view of conversion is needed. This session will provide you with some solid biblical principles for thinking about conversion and why your views about conversion are so important. The questions or topics relating to God that must be addressed with the indifferent, the atheist, the agnostic, and the nominal Christian are all quite different. Your task as a spiritual guide for the seeker is to discern the questions which must be addressed by people at various places on their spiritual journey. If you help seekers and unbelievers understand their spiritual pilgrimage by engaging them in genuine dialogue rooted in prayer, you will find yourself a part of Spirit-led conversations which will help bring them one step closer to Christ. This session will help you answer the question: If God is already at work in the lives of unbelievers, how can we help them to discover what he is doing in their lives and assist their initiation into the Kingdom of God? There is little debate that your beliefs about conversion directly impact your evangelism practices, so the church needs to have a thorough understanding of conversion in order to facilitate more effective personal outreach. This session deals with the complexity of the conversion experience and illustrates how important it is that we let the Holy Spirit lead us in facilitating the conversion process. By polling seminar participants about their particular conversion experience, allowing you to recount the history of your evangelism experience, and challenging you to consider your gifting in personal outreach – you and the other participants will begin to understand the complexity of the task at hand. Finally, by reviewing the non-negotiables of the gospel we recap how important it is that we keep the main thing the main thing—Jesus is the only way and the Bible is the authority for all of our faith and practice. The discussion about the personal conversion experience of participants is framed through the use of psychological models for the conversion experience gleaned from more than 100 years of study about conversion by the therapeutic community. Most of the early fathers of American psychology identified themselves as Christians (such as William James and Edwin Starbuck) and they were most keenly interested in what was happening during the Christian conversion experience. Using definitions for conversion drawn from a century of research, two main categories can be deduced. The conversion experience can be seen as primarily either Sudden or Gradual. Each of these categories is nuanced even further. The sudden conversion can be seen as the result of either a crisis or rational emotive impetus. The gradual category can be characterized by three primary aspects: a gradual awakening, various stages, and what was known as the unconscious conversion (never conscious of not knowing the Lord—I’ve always known the Lord). By polling people about their own experiences, the point about conversion’s complexity is clearly made by the responses of the people themselves within your community. Dr. Kelly provides an analysis of empirical data gathered for his doctoral dissertation which illustrates how most Christians (⅔ to ¾) claim to have had a gradual rather than sudden conversion. Through such polling you and the other participants will see how complex the issue really is, and how God should not be put in a box regarding the conversion experience. Rather than be overly simplistic or reductionist regarding this vital concept, what is needed is an openness to embrace the complexity and paradox of the varied human experience of spiritual conversion. Ideally, this will re-emphasize for you the need to rely on the Holy Spirit to guide you in understanding where people are at in the process of conversion. You don’t need a Ph.D. in evangelism—what is needed is a Ph.D. in the Holy Spirit when it comes to leading people progress on the spiritual journey. Once the complexity of conversion is acknowledged, you and participants are encouraged to discuss how beliefs about conversion might impact your actual evangelism methodology or practices. By considering which method is most anticipated within your tradition you will begin to understand some of the challenges the church faces in engaging people in outreach practices that are primarily sudden in focus and fail to resonate with the majority’s conversion experience. Another major challenge for many in outreach today is their history in evangelism. Again, by asking you to consider your past involvement a number of points are made succinctly. First of all, many people have hardly been involved in any outreach efforts at all and as they consider their limited involvement (or lack thereof) the Holy Spirit will begin to convict them of their lack of engagement with the lost. Secondly, for many, a negative experience in the far past has intimidated them from further involvement. Often the past is demonized in memory beyond the reality of the experience. By talking about it and realizing that everyone has both good and bad in their outreach experiences it can be a form of catharsis and re-awakening to the possibilities that the Holy Spirit can use them now in ways they had not considered before. Furthermore, it will become apparent that much of the negative emotion regarding outreach is the result of fear rooted in ignorance. Many people are not sure what others are going to say and even are not sure what they would say if God gave them the opportunity. Discussing outreach efforts openly with others, something rarely if ever done in the church, can go a long ways toward de-mystifying the experiences of the past and alleviating much of the excusing that goes on in the church regarding outreach because of negative past experiences. Finally, it should be made clear that outreach, initially at least, will likely be an uncomfortable task because you have a personal adversary that will do everything he can to intimidate you from speaking about Jesus, for the very name of Jesus carries so much power for positive change. However, when you step out in faith and began to share the truth of His love for humanity such fear quickly dissipates. “God has not given us a spirit of fear, but of power and of love and of a sound mind” (2 Timothy 1:7). One of the crucial keys to mobilizing the church in outreach is enabling people to match their spiritual gifting and actual involvement. This session ends with a number of provocative questions to help you reflect on your involvement in evangelism activities. In what outreach activities have you seen satisfaction, continual involvement, fruitfulness, and an affirmation of gifting from others in the body of Christ? How do these activities relate to the three phases of the conversion process—quest, encounter and transformation? This portion of the teaching also provides a review of various methods used in the biblical accounts in outreach. By looking into the scriptural accounts you will discover many diverse evangelism methods depicted. This serves to illustrate the great variety in approach that God intends for the body of Christ in reaching out to the lost. In spite of great diversity in method or practices in reaching the lost, the Scriptures also make it clear that a few things are absolutely essential when it comes to God’s good news for humanity today. It’s the message that is sacred, not the method. What is that message? Essentially, two aspects are critical and both have to do with who is the final authority in the lives of humans. The Bible is the authority for all Christian faith and practice, not existential experience or supernatural phenomena. Orthodox Christians interpret their experience based on what the Scriptures say, not vice versa. Furthermore, an ongoing intimate relationship with Jesus Christ is the only way to genuinely encounter God and experience eternal life. There a growing number of voices in an increasingly pluralistic world that would point to other ways to God. Yet the Scriptures are clear that when asked about the way to heaven, “Jesus answered, I am the way and the truth and the life. No one comes to the Father except through me” (John 14:6). He is our Lord and Savior and therefore His words are non-negotiable as much as human sentiment might have it otherwise. Session three will challenge you to consider how much your beliefs about conversion, your past involvement in outreach, and your views of what is essential to the gospel message actually impact your outreach practices, enabling you to take the next steps that will help you develop a lifestyle of evangelism. One of the biggest challenges facing the church today is moving beyond an encounter experience into the lifelong transformation that being a disciple of Christ implies. Since discipleship of new converts is not rocket science, as it involves simply sharing the basics of the faith through a mentor/disciple relationship with persons that are faithful, available, and teachable. An incorrect understanding of the complexity of the conversion process can be the cause for some of our woes in bringing new converts into the fold. However, there are challenges that stem from erroneous views of what constitutes church and spirituality. These need to be addressed for the body of Christ to become the enveloping community Christ intended. This session addresses how our views of conversion as a life-long transformation and misconceptions about the harvest can influence our ability to incorporate new converts into our local community of faith. It also makes a case for many different forms of discipleship in the local church and will help facilitate a discussion on both the strengths and challenges your church faces. Why have so many said sinner’s prayers, or made other sincere commitments to Christ throughout our outreach efforts, yet church attendance and influence continues to wane in our culture? An American form of contractualism in which people pray a prayer as a means of initiating a contract with God for entrance to heaven has only served to inoculate people to what it really means to be a Christian—to die to self and live for Christ. Unless we move away from such spiritual abracadabra we will continue to see a decline in church involvement (one of the true indicators of salvation) in spite of multitudes responding to appeals for a specific one-time encounter. Only an ongoing relationship with Christ will result in sharing in His eternal life. Perhaps nothing discourages people from being involved in outreach more than seeing no fruit for their labors. Yet often it is because of misconceptions about evangelism from the outset that people end up so disillusioned. Christ himself teaches us about the reality of the harvest in the Parable of the Sower (Mark 4, Luke 8). He tells us to expect four kinds of responses to the sowing of gospel seed. The sower is not responsible for the receptivity of the hearer’s heart. However, you are responsible to sow in a wise and winsome manner, and each individual will respond to God’s grace according to their own conscience and this response determines the impact of the seed (Word of God) in their lives. There are many unrealistic expectations about evangelism, i.e. ; if people don’t join your church they were not really saved, the importance of concrete events like baptism in sealing a person’s faith experience, priorities regarding evangelism, church or kingdom growth (are they the same?) and what actually constitutes spiritual maturity in the life of the believer. All of these aspects are important when you face the harsh realities you will deal with in a culture that is increasingly not only non-Christian but anti-Christian. By going through these issues in detail you will be able to understand the paradoxical tension that comes not from accepting simple either/or choices but by embracing the both/and complexities that are essential to garnering the harvest God gives us. To be successful at bringing converts into the church we must have diverse ways they can check out the community as they become more involved with us. Common sense dictates that the more opportunities for involvement the higher the likelihood they will get and stay connected. It begins with face-to-face one-on-one discipleship involving one hour a week to pray with them and answer their questions about their newfound faith in Christ. In addition, each church should have an ongoing new believers’ class, small groups for seekers and new believers, and other nurturing groups. Venues where it is safe to ask any question, which are comprised mostly of new converts or seekers, are critical for helping people get connected to others of the same gender, age, interests, and similarities to become part of the church family long-term. Without these venues it is more difficult for people to become part of your faith community. We need to be brutally honest about the challenges a new believer may have to face in becoming a part of our communities of faith. An honest analysis of these factors can take place by working through the questions raised in the last part of this session. Of course what is needed is leaders to help with all these approaches to welcome people to our family. This session will help you to identify and facilitate the F.A.T. people in your congregation (faithful, available and teachable) who can help mentor new converts. We also provide you with a simple discipleship paradigm from Hebrews 12:1-4 for challenging new converts to keep their focus on Jesus, the most profound example of servanthood in history. One of the healthiest things the body of Christ can do is take an objective look at itself occasionally. Probing questions can help us to determine where our biases lie. Can a person be a true believer and not be involved in a local church family? After reflecting on this question another one inevitably arises. What do you think it is that constitutes a local church? One of the ways we can assess the strengths of our local church families is to ask folks to recount: what are the primary things that drew you to become a part of your church home? What are people looking for in a church? Why don’t they attend? Most church leaders are very interested in the answers to these and we provide some video footage from the streets of a West Coast city to help with the discussion. Time would be well spent by church leaders to listen to the answers to the following question: What do you think are the primary hindrances that keep persons from becoming a part of the family of God at your home church? We conclude by sharing a number of practical ways to help overcome church phobias in your culture created by the anti-Christian media juggernaut. It is also helpful to consider, as a result of society’s stereotypes, what are some of the ways the culture at large views Christians? Finally, a discussion on how to deal with negative presuppositions concerning Christian churches, and how to address the more difficult objections you might encounter will help you to overcome some of the obstacles to bringing converts into the place of genuine discipleship and community. For many people the fear of confronting objections overwhelms their burden for the lost and willingness to engage them in open and honest dialogue about the gospel. After more than 30 years of witnessing to unbelievers, Dr. Kelly has found that objections are often not nearly as difficult to deal with as you might imagine. This session deals with nature of objections, how to be Spirit-led in overcoming them, the question of authority, and some helpful ways to deal with the most common objections. Most objections fall into two general categories: 1) smokescreen objections, used only to distract us or change the subject; and 2) real objections, which demand an answer. In this session we provide specific examples of both kinds of objections with suggestions on how to deal with them effectively. What does one say to the question: What about all the pygmies in Africa? Or, Why would a loving God allow all the evil we see to exist in the world? You need God’s Spirit to help you discern which objections are genuine and which don’t need an immediate answer. If we are not careful we could easily win the apologetic battle but lose the salvation war. What if you don’t have an answer for every question or statement that is made? You will learn there is power in admitting you don’t have all the answers and we must trust God to reveal the mystery of the gospel to those who seek such revelation. The Scriptures show us that prayer is the most crucial aspect to effective evangelism. And if our witness is comprised of a holy conversation and invitation in which God speaks through us to the world, then we must rely on Him for inspiration and divine empowerment to carry out the task. Being Spirit-led is more than just trusting in Christ for a spontaneous word. For if the Holy Spirit can use you when you are unprepared, think how much more he can use you when you are prepared. Some basic preparation is always helpful when dealing with the complexity of the conversion process. What proof is there of the resurrection? All in all, a discussion about some of the most difficult questions or objections you have encountered in your witnessing efforts will go a long way in eliminating many of your fears of what to say in the face of such objections. Ultimately the answer to overcoming objections is to trust God to provide the answers and let him bear witness to the truth in human hearts. Essentially sharing the gospel is all about communicating the truth of God’s love effectively to the world around us. This is best accomplished by improving our understanding of the ever-increasing complexity of the world in which we live. Rather than retreat in despair we are called to engage our culture with the gospel. This session will equip you to be aware of how people from different worldviews understand or interpret reality and how such perspectives might provide a bridge for them to hear the gospel. It also provides an overview of the issues arising from a post-everything world with application to our effectiveness as witnesses for Christ. Finally, this session will challenge you to consider how important the whole idea of incarnational witness is to God and how sensitivity to the Holy Spirit is the key to its implementation. Using the biblical example of multicultural communication in Jesus’s encounter with the woman at the well (John 4) this session provides some elemental truths about communication style and its impact on our witness. Three predominant worldviews are presented: 1) Concrete/Relational, a collective view found in tribal cultures; 2) Abstract/Conceptual, approaches that dominate Western thought, and 3) Psychical/Intuitional, perspectives that earmark much of Eastern thinking. You will be challenged to consider each of these in turn, assess which of these worldviews is likely to resonate with your audience, and understand how that provides a basis for hearing the gospel. In addition, two ways of communicating, verbal and non-verbal, are addressed to show that you are the message you portray in thought, word, and deed. This section attempts to answer the question, Where is Western culture at today? In a post-911, post-denominational, post-Christian, post-modern era, what are going to be the most effective venues for sharing the gospel? In addition to an overview of post-modern, emergent, and missional culture and principles for evangelism in such an age, the session will acquaint you with an empirical approach to church health outlining eight essential qualities of healthy churches from Natural Church Development and the questions that each of these attempt to answer for the missional church. There is one best way to communicate the gospel. You will learn about God’s chosen way of communicating His love and the implications of the Incarnation for our witness today. The sessions concludes with a discussion of the importance of a close relationship with the Holy Spirit which is the key to effective incarnational witness and how that is best facilitated in your life. Why have church leaders found this to be so effective? Nearly everyone who is a believer knows Romans 6:23 already. The bridge illustration, used as the foundation for sharing the gospel truths from this passage, is familiar to most people in the church. It can be taught in less than an hour, so it fits into small groups, Sunday School, retreat settings —anyplace where some teaching on evangelism is appropriate. It’s full of practical illustrations that resonate in the hearts of hearers and are easy to remember. It’s based on solid exegesis of the Word. It’s geared toward a conversational approach to witness. It prepares you to answer the question, “What must I do to be saved?” When we’re doing our job in the area of incarnational witness, and make ourselves prepared to answer that question, the Lord sends people our way to ask it. Once you’ve heard the teaching, you’ll always have something to share with those that are ready to make a commitment, which should increase your sensitivity to how God would use you in the area of personal outreach. One of the main things that stops many from sharing our faith is fear—fear of looking foolish (not knowing what to say), fear of alienating the hearer, fear of the unknown (not knowing what to expect), etc. When you equip yourself and your people with a simple approach to sharing the basics of the gospel such as the OVE method, you’ll be more likely to step out in faith and actually begin evangelistic conversations. It’s suited for the “What must I do to be saved?” kind of encounter that the Lord makes available to those who are prepared to answer that question. Most people may not be at that point initially, but it’s likely to come sooner or later if we are doing our job in the area of incarnational witness. Once folks have heard the teaching they will always have something to share with those that are ready to make a commitment, which should increase their sensitivity to how God would use them in the area of personal outreach. It’s very affordable and easy to use. Dr. Kelly does the teaching for you. All you have to do is facilitate the discussion. The more tools in your ministry toolbox, the better. Once you have the video you can make it available to every evangelist in your church, or use it in a class, small group, or conference to teach others. It will help you expand the resources in your church or home library of ministry tools. The basic teaching begins with an explanation of why the New Testament is our best witness tool. It is the primary authority for our faith and practice. When we witness from the New Testament, we make it clear that the Scripture is the real authority, not our opinions or words. When discipleship begins in the Bible, it becomes easier to bring converts back to that book as the basis of their Christian faith. The second part of the teaching goes through the classic Roman Road Scriptures as a way of sharing our faith in Christ. This is a time-honored method for explaining the basics of the gospel to a biblically illiterate culture that is desperately searching for answers and authority beyond mere personal experience. Dr. Kelly explains clearly how to use the New Testament as a witnessing tool, and how to use these Scriptures to bring someone to a saving knowledge of Christ. The final segment (and the bulk of the teaching) explains each step of the Romans 6:23 Scripture where the apostle Paul, under the inspiration and guidance of the Holy Spirit, lays out a perfect outline for the gospel. Through the use of opposing phrases in the text, Paul spells out the simple truth of the gospel. In terms that unbelievers can clearly understand, the hearers are provided with simple explanations of the concepts of wages, sin, and death, as well as their direct opposites: gift, of God, and eternal life. Students can follow along with their copies of the teaching and make their own annotations to help them remember the profound truths God wants them to share with the lost. The most important story in life is embedded in the Holy Scriptures. It is the story of God’s work among His creation. When we point others to it they begin to share in that story—our story becomes their story, and indeed, His-story of redemption in their life. The Word of God is first of all a revealed word—the story of His breaking into history to reveal Himself as the one true, all knowing, all powerful, omni-present God. By the power of God through the Holy Spirit those stories became inscripturated by inspiration of the Holy Spirit through humans, are preserved through the eons of time by the same Spirit, illuminated in our hearts as we read and understand them by the same Spirit, and ultimately we are empowered to live out these truths by one and the same Spirit. So the Word of God is not only a revealed word in time, a written word in history, but a living word because Jesus Christ rose from the dead and now sits at the right hand of God the Father. The stories that God has told through His Word are as poignant today as they were when God inspired them. This session offers training in a unique method of sharing your faith that honors the word of God, as our ever present rule of faith and practice, to be one of the most effective tools in sharing our faith. It begins with an explanation of parables and their biblical and present-day use. Some examples from Scripture and ways to utilize them in witness are provided. And finally the importance of exploring the Greatest Story Ever Told is presented. The use of stories rooted in real-life situations is a literary device made famous by the Lord himself. Simple but profound truths are conveyed through concrete examples. Parables tell in as short a space as a possible a story with multiple or hidden meanings. Using Christ’s example of using stories to convey deeper truths, this session will challenge you to think about the various biblical stories and how they might relate to those seeking spiritual truth. When we recount biblical stories they become modern-day parables for the hearers as they apply the truths embedded in the story to their particular situation. You will learn how parable-telling is applicable to real-life situations because it resonates with the more verbal cultures of the world, evokes curiosity, and challenges the hearer to interpret the meaning in the light of their own circumstances. You will discover six reasons why parables are a good way to share the gospel: It points to the Bible as the reliable source for divine truth, links the hearer’s story with the biblical accounts, answers potential questions in a non-threatening and non-dogmatic way, fits the discovery approach to truth that appeals to the emerging mindset, challenges believers to study the Word more closely and underscores the power of God’s word. To help you apply this unique method of sharing God’s word of truth, numerous biblical examples of parables are provided. Learn to look at what kinds of parables and Bible stories are most effective for specific situations—spiritual seeking, mystical encounters, power encounters, need for healing, need for miraculous provision—more than a dozen specific examples are illustrated in this session. You will also be challenged to consider what powerful stories you can think of that would encourage people to repent and follow Jesus. The religious and self-righteous abound in our culture. Yet many do not have a personal relationship with Christ. They have not truly been born again. In John’s account Jesus cuts through the spiritual darkness to reveal the simple truth that “except a man be born again, he cannot see the Kingdom of God” (John 3:3). Nicodemus is the quintessential religious Jew and as a representative of the Sanhedrin depicts the need for all of Israel (and by extension – all religious people) to come to the truth of Jesus’ sacrifice. This session provides you with a thorough exposition of the passage focusing on the nature of the spiritual inquisitor, the meaning of the key Greek word anothen, along with other key words in the cultural context. You will also learn what the how being born again is seen in three key aspects through the words of Jesus. The key principles from the passage will illustrate how you can use this story to challenge seekers to embrace Jesus’s challenge to Nicodemus. You will understand how Jesus, by linking His sacrifice on the cross to the deliverance of the people of Israel from the ravages of sin, shows how embracing the cross can result in sharing in eternal life. The last part of the session explains how the use of narrative or story will resonate with the human experience when sharing the gospel. You will learn how important the whole idea of story is in God’s providence. The teaching builds from the premise that God has a story to tell and He wants us to tell it. It’s a tragic story, but it’s also a story of great power. It’s a story about covenants and a community of faith. The historical account goes beyond the written word to tell a story about restoration and redemption. Most of all, it is a story about a journey; the journey of God’s people traveling with Him toward a city whose builder and architect is the Creator Himself. Such a powerful story evokes two major questions for the bearers of this revelation: What’s your story? And are you telling it? The session ends with some reflection questions to challenge you to think through the implications of what you’ve learned. You will be to reflect on what aspects of parables will be helpful to you in sharing your faith and encourage others to find answers to their present-day dilemmas in the Bible. You will be challenged to recount a time in your life when telling a story from the Bible helped you to encourage someone to grow closer to Christ. Finally, you will be asked to reflect on the issues that might hinder you from using scriptural stories to encourage others in their relationship with Christ. One of the most time-honored means of sharing our faith has become even more poignant as the emerging culture puts so much emphasis on personal experience over the authority of ancient authoritative texts. The Bible remains the foundation of Christian faith however and provides the basis for this teaching. Initially you will learn what God’s testimony is to us concerning the importance of personal testimony in overcoming the evil one’s opposition. Then you will see how the apostle Paul has provided a classic example for sharing faith from personal experience with Christ. Finally, students are encouraged to write out their personal story and consider how it might be used to bring people to a place of decision regarding their relationship with Christ. The Scriptures give us some classic examples of the use of personal testimony to not only overcome our adversary but to bring others to Christ. You will learn how your testimony can overcome the power of the evil one through the sacrifice and triumph at the cross (spiritual encounter), the confession of faith by the saints (testimony), a life of commitment and sacrifice unto death (lifestyle), and the many people who come to Christ because of it. You will be asked to consider some of the many examples of personal testimony in the Bible and how these are instructional to your own use of testimony in your personal outreach efforts. Paul’s testimony before King Agrippa will give you a clear outline for sharing your own personal experience of encountering Christ. In his account in Acts, Paul shared what his life was like before he encountered Christ on the road to Damascus. You will understand how his inward needs resulted in obvious outward sin. As he continued to tell share his story, Paul shared the specifics of his conversion encounter with the risen Lord. As a result his inward needs were met by Christ. The result in his life was a major life change and outward good spiritual fruit. In this session you will be challenged to use Paul’s story as a paradigm for building your own personal story of conversion to bring people to Christ. Can you name some inward needs that human experience? How does Christ meet these needs? His example will challenge you to consider how you might use this model to form your own testimony. You will need to address a number of questions when considering your own testimony. What are some of the reasons for sharing your testimony? What points are essential to an effective testimony? What matters are best left out? Why are so many reluctant to share their testimony with others? Finally, if evangelism is a holy conversation and invitation, how can you best use your testimony to invite people to make a commitment to Christ? The session culminates with a means of writing out your personal testimony using Paul’s example. Then you will consider the question: How can you link your testimony to encourage the hearer to make commitment to Christ or move at least one step closer to serving him? Have you ever wondered what happens to all those people that go forward in response to the so-called altar call? Why is it that so often we don’t see them later at our church gatherings? One of the big issues in the church is bridging the gap between the time of encounter and what one pastor labeled “a long obedience in the same direction.” Crucial to the success of event outreach is our ability to preserve the harvest God has given us. This happens when we embrace two of the key concepts for effective outreach, i.e. ; it must be relational in context and conversational in method. Session 10 provides a simple step by step training that can help event outreaches yield long-term fruit in the Kingdom of God. This simple 40-minute teaching will prepare your volunteers by helping them understand how good altar counseling can establish a turning point in the lives of those who respond, which becomes the basis for ongoing discipleship. It will enable them to give the respondent the assurance of conversion. It will guide them through the process of explaining what’s involved in the encounter phase of conversion and the importance of repentance and the process of forgiveness. This is necessary to ensure a quality conversion encounter. In addition, it will gather for the sponsoring organization the essential information for ongoing follow-up. Finally, it provides the essential relational contact that new converts need in order to connect with an accessible person willing to help them become a part of the family of God. Failing to train people to do the simple but sometimes challenging work of counseling people at the altar will likely end up with more still-births into the Kingdom. As good stewards of all that God gives us we need to do the best job we can to prepare people to garner the harvest that results from our proclamation of the gospel. The emphasis here is on quality not quantity, as the more time we spend with people at the altar, the higher the likelihood they may become a part of our church families later. Since the holy conversation at the altar is key to later assimilation into the body of Christ some preparation in mind, spirit, and body is essential. This teaching will challenge you to consider the importance of prayer, before, during, and after the encounter. Also, your physical appearance, what materials are essential for the task, and how to respond to the altar call, are all considered dealt with in this session. Using a generic approach, this training allows you to plug in any kind of counseling material you prefer and also provides suggestions for proven materials if you need them. It will be helpful for any kind of event that invites people to respond in some way to an invitation. You will learn how to evaluate the invitation given by the speaker. It also provides a comprehensive step-by-step process for ministering to individuals who respond for either salvation or other needs. You will learn how to take respondents from the initial introduction, through the key counseling sequence dealing with the three R’s of salvation: repentance, receiving forgiveness, and recognizing Christ as Lord of their life. What if they are seeking prayer for something other than salvation? This lesson will equip counselors to deal confidently with most altar issues including some general do’s and don’ts for avoiding difficult situations that sometime arise from altar work. It is designed to allow you to fill in the gaps with your own materials or supplemental teaching as is needed. How can we faithfully incorporate people from a time at the altar to full life in the body of Christ? The answer to this is crucial to the success of your assimilation ministry. This part of Session 10 encourages altar counselors to be familiar with the materials on-hand that are provided by the church or event sponsor. It covers how to gather accurate contact information, distribute the literature provided, and create a bridge to the discipleship process. This is done by making sure you know about various venues available for people to get involved with the family of God: weekly worship gathering, small groups, seekers or new believer meetings, or any other kinds of side-doors that would encourage their involvement with a body of believers. Personal contact with someone of the same gender and interest in your organization is vital as well. They should be introduced to key personnel such as the assimilation pastor, small group leaders, the associate or senior pastor, or men or women’s ministry leaders, before they leave the event. Probably the more friendly people they meet that are gifted in the area of hospitality the more likely they will find a place they can plug into the family of God in that community. The session closes with a number of probing reflection questions to help you recap what you have learned in the session and apply it to your own particular context. Does your church or organization have formal training for altar counselors? Why should this be a priority? Why is it important for the person giving the invitation to be aware of the presence of altar counselors? What kinds of materials are available in your organization? Who are the leaders responsible for this ministry? What kinds of groups or events sponsored by the organization would be most beneficial to seekers or new converts? It utilizes many of the unique gifts disseminated throughout the body of Christ in evangelism: hospitality, apologetics, discipleship, etc. It allows people to be involved as a group rather than as individuals, which resonates with more believers. It follows a clear model for outreach that we see in the New Testament. Outreach groups naturally morph into discipleship groups. They take place in the home—a comfort zone for most people. The relational nature of a group is so inviting for seekers and new converts. This session will provide you with a comprehensive overview of the use of small groups in personal outreach. 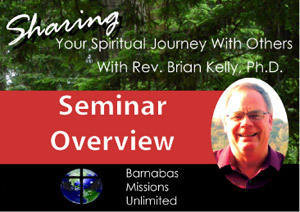 Enough training is provided to start the ministry, but a more comprehensive curriculum entitled Be His Witness, Part 2: Missional Small Groups is being produced by Barnabas Missions for future use. In the interim, you and your friends could use this teaching to begin to meet and plan your outreach to those outside of the community of faith. This list guides a discussion about how outreach focused small groups meet all five of the criteria for effective personal outreach. Small groups are critical to the health of any community of faith. Research shows more than 40 percent of Americans gather into some sort of small group meeting on a weekly basis. This is a notable demographic within U.S. culture. With so many debilitating influences working against healthy communities today it’s no wonder that many are finding their God-given place as individuals in community in small groups. Here you will be given the empirical data from credible sources as The Barna Group, Natural Church Development, and Neil McBride, an authority in small groups for more than 30 years. These researchers and authors supply the statistics to help you weigh through formative issues such as: Who is most likely to attend a small group? Are certain ethnic groups more likely to connect this way? What influence does faith tradition have on involvement? As you work with others, considering how you might use the small groups to reach out in a missional focus, you will be able to draw important conclusions from this data. When considering how such small groups might bring people into your community of faith, you should think about what types of small groups you want to form. This session gives you the defining characteristics and examples of relationship, content, task, and need-oriented groups. You will also be challenged to think through and discuss some key questions for your assimilation ministry. Who on your church staff or within the congregation is delegated the responsibility of tracking new converts, seekers or new attendees to your church? What types of small groups have been most effective in your church? You will also work through what a small group ministry for new converts or seekers might look like, where it would meet, who would lead it and how would it be structured? By working through these foundational issues you and your church will be ready to start an outreach-focused small group ministry. In this section you will address some of the major issues that stymie the success of outreach-focused small groups. You will address pivotal questions such as who to invite, what kind of structure your group will have, when will the meetings take place, and where will they be held. One of the keys to getting people to attend is being totally honest about why you are meeting. A sample proven invitation is provided in the training. Finally, you will consider what the issues are that might make you and others so uncomfortable about inviting unbelievers to your home to discuss the claims of Christ. With society unraveling, people are experiencing a crisis of disconnectedness. Yet the church should be the best of all social structures to offer genuine community. But does it? Community is an essential aspect of any healthy church. But how essential is it? Are there other aspects that are just as or more important? Many would argue that small groups offer the best possibility for genuine spiritual community. Is this so? Why, or why not? The purpose of small groups is to meet the basic need in people, both within and without the church community, to connect with other human beings in genuine healthy community. By working through these crucial discussion questions you and your group will understand the significant role small group’s play and will have the tools to reach out to the lost in your community with this inviting method. Are you willing to take seriously the command of Christ to go into all the world and preach the gospel? Does the word of the Lord burn like fire your bones as it did in Jeremiah? This session is for those who desire to learn a winsome and effective way for doing intentional evangelism the way Jesus commanded it. You will learn how to approach people in any situation with a Religious Attitude Questionnaire and poll them about their spirituality – take their spiritual temperature, so to speak. The teaching also will familiarize you with the use of pamphlets for sharing the gospel and following up on new converts. The old adage, “Give people a fish, you feed them for a day – Teach people to fish you feed them for a lifetime,” is especially important in the area of evangelism. There are so many zealous street evangelists who feel isolated, abandoned, and ostracized. Because their methods are not easily duplicated it requires more involvement than many are willing to give at the outset. With more than 20 years of experience in using this technique, Dr. Kelly explains how this approach can be used to equip evangelists regardless of their spiritual maturity, age, experience, or educational levels. This 40-minute teaching is an excellent overview of a more comprehensive curriculum – Be His Witness, Part 1, which is now available in entirety. Jesus used the method of inquiry to teach continually in his ministry. There are many biblical examples of his use of questions to spur on spiritual seekers or initiate an evangelistic conversation. Even more significantly, asking people to express their opinions about spiritual matters fits the American psyche like hand in glove. By allowing people to share their opinions on spiritual matters we make it much more likely that they will want to hear what we have to say as well. Once we have earned the right to speak, we can then share the gospel truth with those who are open and willing. In this session you will learn the 13 reasons why questionnaires have proven to be so effective. Questionnaires are simplistic, conform to American thinking, inform respondents of your intent, and are winsome and non-threatening, to name just a few. The teaching comes alive as you see real-life encounters on the streets where respondents go through the questionnaire and provide the answers that are common to such encounters. Unfortunately most people’s spirituality is a half mile wide and a quarter inch deep. But when we take the time to ask the right questions and spend some time listening to their opinions they are more willing to hear what the Bible says about God and the spiritual realities of life and death. The use of questionnaires and pamphlets enables us to train others easily with a method that can be utilized by anyone who can read. It’s amazing how open people are to the gospel when we approach them with the intent of having a genuine dialogue, or holy conversation. Rather than bringing our own agenda to the encounter, by listening to what the Spirit is saying through them, and us, we can anticipate a truly Spirit-led conversation. There are at least 10 reasons why you should use pamphlets to share the gospel; they offer a visual as well as verbal presentation of the gospel, versatility, keep the focus on the gospel, assure the respondent of brevity, and make the Scripture verses readily available, plus many more. You will see how to use both the Our Spiritual Journey Together and Walking with the Lord Jesus Christ pamphlets to more effectively share your faith and especially to train others to be involved in your outreach to others. After 30 years of training evangelists, Dr. Kelly has learned some of the basic ins and outs of effective marketplace encounters. You will learn about what do to before you begin, during the witnessing experience, and after sharing the gospel. Because people’s initial experience in ministry shapes their view of ministry for the rest of their life, it’s important we make it as positive as possible. Being forewarned is forearmed. Being adequately prepared ahead of time for evangelism outreach is one of the most important factors in influencing people to return to be a part of your evangelistic endeavors. This lesson will help you overcome many of the obstacles that hinder people from long-term involvement in evangelism outreach. The session culminates with a discussion of some of the realistic expectations we should have concerning church growth and new converts. It also addresses the use of a Follow-Up Questionnaire to help preserve the harvest by facilitating a second interview with the household of those with whom we have shared the gospel. This can be very helpful when those doing the follow-up are not necessarily those who initially led the respondent to Christ. You will be shown step-by-step follow-up procedures to help you organize the church’s follow-up system. Through this teaching you will be given the essentials for preserving the harvest God gives you and enough equipping to begin to use questionnaires and pamphlets effectively. This session will provide training for those with a distinct evangelistic zeal and call to this crucial task of outreach. Many have the want to; they just don’t have the how to, and this session will help give them direction and fulfillment in the area of intentional outreach.